“For the sake of Nigeria and our unborn generations, something has to be done about this cycle of madness. Elections have been turned into mere rituals of selecting and re-selecting all manner of shady and dodgy character. Anyone can become Minister or Head of a parastatal no matter how abysmal his record or personality“. Fellow Nigerians, please permit me to make a few clarifications before going into the real juice of this missive. This article is not about President Goodluck Jonathan but about the party he represents. I willingly accept that he is not the architect of the many problems bedevilling Nigeria today even if I think he’s the poor artisan who’s not able to erect a straight stanchion for reasons so obvious to those not blinded by power, wealth and fear. Unfortunately most of the dismal architects and terrible builders are in the same party. I must again confess that I’m a proud member of one of the opposition parties, the National Conscience Party, and hoisted its flag at the highest level. I’m convinced that all parties in opposition plus those rejected, victimised and oppressed in PDP must come together, repent and atone for the sins we’ve all committed against our country. 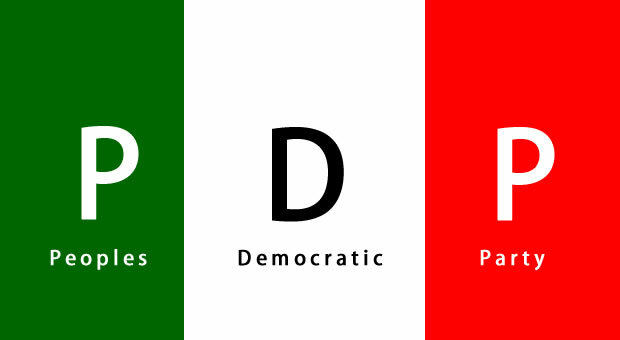 PDP has become a dangerous behemoth that must be dislodged and dismantled for Nigeria to move forward. I never supported the birth of PDP from Day One because I saw it as child of deceit and conspiracy. The midwives had played a fast game on unwary and unsuspecting Nigerians. The idea was to hijack the labour room and kidnap the beautiful baby delivered on June 12, 1993 and then cleverly swap it with a monster, after the hell many Nigerians went through to deliver Democracy. I was never enthusiastic when the PDP went after General Olusegun Obasanjo and brought him back from the oblivion of retirement to contest the Presidential election. A few of us saw through the smokescreen and chicanery of pretending to compensate the Yoruba people for the death of June 12 and its true custodian, Chief Moshood Abiola. I chose to support the candidacy of Chief Olu Falae with my modest might as well as widow’s mite. As a matter of fact, I was so serious about having two distinguished and cerebral leaders as President and Vice President that I pleaded with Chief Olu Falae in his campaign office at Ogundana Street, off Allen Avenue, and later at his Ahmed Onibudo home in Victoria Island, to grant me permission to approach Dr Rilwan Lukman to be his running-mate. My belief was that never again must Nigeria be left in the hands of hard-core politicians but in the care of capable technocrats. Chief Falae did not dismiss my suggestion like many in his big shoes would have done but he embraced it. I bought my own ticket to Vienna, Austria, where Dr Rilwan Lukman was OPEC President. I met a man who sat atop one of the most powerful institutions on earth and was excited that he had agreed to meet me for whatever it was worth. We drove to his official residence which was under renovation and had dinner. I was very humbled when this great man jumped into his car and personally drove me to the Intercontinental Hotel which he had already booked for me to stay. We later sat in the hotel to discuss the main reasons I came to see him. I gave him the full background to my mission and how Chief Falae would love to have him as his Vice Presidential candidate. Dr Lukman was very surprised that a young man like me (I was 38 at the time) would have the idea, nay audacity, to suggest his name and even persuade a Presidential candidate that he was the way forward. He was even more astounded that I had spent my own money to travel. He said many would have used the opportunity to extort money from him and Chief Falae. I told him I would have lost respect of both of them if I did. He went on to thank me and also told me to express his profound gratitude to Chief Falae for his faith in him. He said he had no doubts about the competence of Chief Falae and the consolidated benefits of his stupendous knowledge, experience and expertise in Economics and Banking. He said all the nicest things before adding a caveat, like my old Principal, Reverend Father F. Cloutier, would have done. And it was a bombshell. Dr Lukman said if not for the renovation going on in his residence, he would have preferred that I stayed with him at home as this would have made it possible for us to interact more and demonstrate how Nigeria is controlled by some powerful forces who do not sleep at night. He confirmed that the Nigerian Mafia had decided that General Obasanjo must return to power. To say I was stunned and shocked is an understatement. As sleepy and narcoleptic as I felt, my eyes cleared immediately. I asked what the whole purpose of holding elections was, if results had already been predetermined, sealed and delivered! The look on his face was that of a man who saw through my plain naiveté, simple ignorance or both. He told me the godfathers and kingmakers would erect all the structures needed to select and coronate the king at the appropriate time. I left Vienna a sad man. And landed in Nigeria a dejected soul. I was confronted with the reality that those who killed June 12 were not yet in retirement. They were not going to embalm and keep it in a mausoleum as a lesson to future generations. June 12 would be cremated and its ashes scattered to the winds. Those promoting Obasanjo had done their research well. They wanted a Yorubaman who was neither a fan of Abiola nor a believer of June 12. They got the added bonus of a man who was also not vehemently interested in his kinsmen but was keen to shout to anyone who cared to listen that he is a detribalised Nigerian – as if there was any such Nigerian in practice after Abiola! Meanwhile, some of our friends, such as Onyeama Ugochukwu, Chris Mammah and Onukaba Adinoyi-Ojo, who worked on the Obasanjo team, could swear by Jove that prison experience had sobered and changed Obasanjo to a less tempestuous soul. Even if I wasn’t convinced, I filed their conviction away. I knew the true test of the allegedly Born Again Obasanjo would soon come. My worst fears were soon confirmed when PDP couldn’t retain the symbolic date of June 12 as Democracy Day or at the very worst pick the Independence Day on October 1 for Obasanjo’s swearing-in ceremony. As if that wasn’t already bad enough, President Obasanjo studiously ignored any reference to the crisis that produced him and failed to salute our fallen heroes led by Abiola. That was the beginning of the elongation of our intractable troubles. That regime was in power for eight years and was nearly extended by another four years. Trillions of Naira was pumped into Defence, Education, Police, National Assembly, Works and so on but without commensurate results. Governance became a one man show and opposition within and without was hounded and hunted with incredible venom and velocity. Several Governors were impeached in hotel rooms or legislative houses at gunpoint and by far less than constitutionally required number of Assembly members. A foundation had been laid for future vindictiveness. Subsequent administrations would copy such bad manners and witch-hunt opponents with impunity. Obasanjo left power grudgingly and incredulously chose to hand over to a man whose health condition was already known to be suspect. To compound matters he handpicked a deputy for him whose claim to governance was his name and place of origin. Obasanjo also positioned himself as guardian angel for the party when he became the Chairman of its Board of Trustees, a position some of us considered demeaning and belittling for a man who had just completed two terms as maximum ruler. But strange are the ways of the Lord. The house built of spittle soon collapsed as the falcon refused to obey the falconer. Party intrigues replaced governance as different camps jostled for supremacy. Amidst the decay, Nigerians continued to wallow in poverty. The ultimate kingmaker could not tolerate the level of rebellion against him and he dropped the chairmanship of BOT. The death of President Umaru Yar’Adua brought in President Goodluck Jonathan who helped to complete his term between 2010 and 2011. Soon it was election time and President Jonathan naturally presented himself for the presidential race. He was packaged by his spin doctors as a pious and meek leader with extremely humble background. There was sufficient support for him by those who saw the miracle of his emergence as nothing but the work of God. There were also a handful of us who knew a man can never deliver beyond his capacity and capability. I did not subscribe to the ability of PDP and its candidate to produce good results. So I chose to offer myself. The idea was to give our citizens enough options at the polls so that when tomorrow comes no one would dare say they had no choice but to vote for the only man that showed up. I was also expectant that all youthful agents of hope would come together to pick and promote one of them. The prospect of this was rekindled when Mallam Nuhu Ribadu visited me a day after being nominated as ACN candidate and asked that we joined forces. I had also reached out to different people in all the parties about the possibility of forming a powerful alliance to dislodge the old warlords who were making Nigeria retrogressive and ungovernable. Unfortunately, Nuhu Ribadu did not have enough power to influence his party elders to reach out to modern elements from all works of lives. As a matter of convenience, his own party chose to work against him by aligning with the PDP candidate. Had ACN worked harder at mobilising and mopping up all the opposition forces including CPC, Nigeria would have been spared the present horrific existence. But we lost Paradise, or the possibility of catching a glimpse of it, on that terrible note. What APC is now attempting to do is like the case of the antelope that failed to fight the hunter in the bush but raises up its hands in the market place. What Nigeria has lost in the past four years is better imagined. We have moved from one of the peace loving countries to one of the most violent. The ruling party has clearly lost the wind and the sail and ours has become a rudderless and defenceless nation. What is worse, while Nigeria is burning and Nigerians are roasting our leaders are fiddling remorselessly. It is amazing that in the scorching heat of this conundrum all our leaders can think of are election and re-election. The ruling PDP has gone completely neurotic and power-drunk. Its major strategy is how to weaken opposition and not about taming the scourge of Boko Haram. Systematically, it has started the annihilation of opposition by removing all enemy Governors before the race begins. I have no doubt that they will remove some while a few might escape. But is that what power is all about? I’m hoping and praying that the opposition would wake up from its self-induced coma by whatever act of miracle. Those saying there is no difference between PDP and APC are not exactly correct. It is easier for an APC to poach majority of members of Nigeria’s Floaters Party who constitute over 70 percent of the electorate but they need to see some semblance of seriousness on the part of the opposition leaders. The current body language is ominous and many are worried that we may be abandoned once more in the middle of the Atlantic Ocean after raising our hopes again. Nothing is worse than a leader not trusted. For the sake of Nigeria and our unborn generations, something has to be done about this cycle of madness. Elections have been turned into mere rituals of selecting and re-selecting all manner of shady and dodgy character. Anyone can become Minister or Head of a parastatal no matter how abysmal his record or personality. No nation can make progress with such callous indifference to morality, integrity and competence. The essence of Democracy is how to change a failing government and not to entrench oligarchy in power. It has nothing to do with the turn of your zone or the religion you practise. As a former teacher, the President is well-equipped to know that no university ever promotes students and their lecturers without meeting certain merit based conditions. There is no sympathy, no discrimination! If you like burn down the entire campus, but you will never proceed to the next class if you fail. Let our politicians bear this in mind.